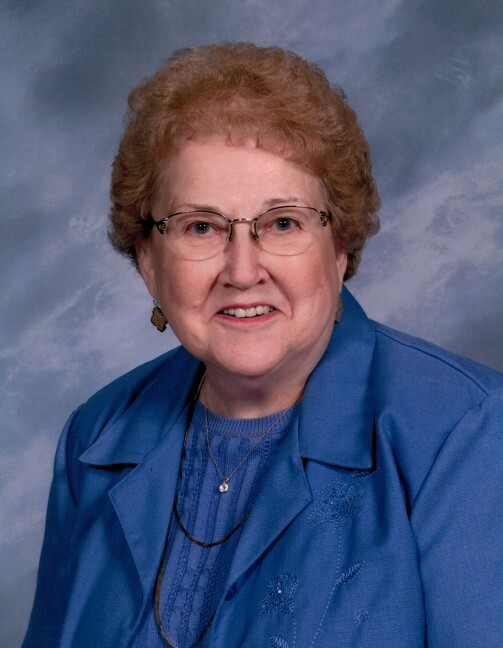 Anita F. Piontek (nee Sickmann), 92, of Washington, passed away at Mercy Hospital in Washington on Friday, April 12, 2019. She was born on August 12, 1926, in Concord Hill, Missouri to the late Casper and Rosie (nee Eichholz) and was united in marriage to the late Clarence F. Piontek on January 24, 1948, at St. Francis Borgia Catholic Church. Anita paired her musical talents with her Faith as a church choir director and organist for many years at St. Francis Borgia and Immaculate Conception Catholic Churches. She was also a member of the dance band, the Royal Missourians. A Funeral Mass will be held on Monday, April 15, 2019, at 10 am at Immaculate Conception Catholic Church. Interment will follow at St. Francis Borgia Catholic Cemetery. Visitation will be on Sunday, April 14, from 4 until 8 pm at Nieburg-Vitt, Miller Funeral Home, 1206 Jefferson St., Washington, Missouri. Memorial donations are appreciated to Cardinal Glennon Children’s Hospital or Immaculate Conception Catholic Church. Anita is survived by seven children, James Piontek, MD and wife Kristine of Liberty, Jerome Piontek, MD and wife Vicki of St. Louis, Phyllis Cassette and husband Dan of Washington, Mark Piontek and wife Lynette of Washington, Mike Piontek and wife Kris of Washington, Linda Piontek of Pittsford, New York, and Barbara Rosenbloom and husband Michael Rosenbloom, MD of Voorhees, New Jersey; twenty-one grandchildren; eight great-grandchildren; other relatives; and many friends. She was preceded in death by her parents; husband; six siblings, Evelyn Watermann, Elfrieda Oberhaus, Lillian Boland, Brigetta Sickmann, Norbert Sickmann, and Gregory Sickmann; and one son-in-law, Rick Young.